Currently there are a few companies offering a regular Rum delivery service so why this one? 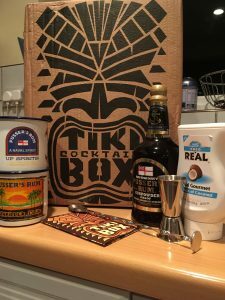 I signed up for this as soon as I found out about it because not only does it offer a different rum each month you also get a bespoke cocktail recipe, Real syrup, non perishable ingredients such as bitters and a vessel to drink it in. The choice is a subscription, bi monthly delivery, or buy it now box and each time the box has arrived I have not been disappointed. 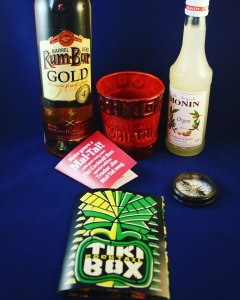 They also offer a spirit free box for those who already own the Rum but want the rest of the box contents. 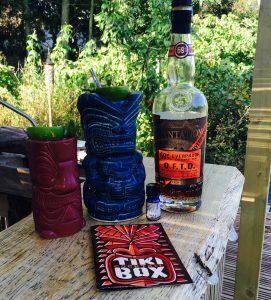 Some of the mugs have been original bespoke to the tiki box but all are great for the tiki drinker. Rums have been varied and range from Pusser’s gunpowder proof, Plantation OFTD and Ron Cubay. 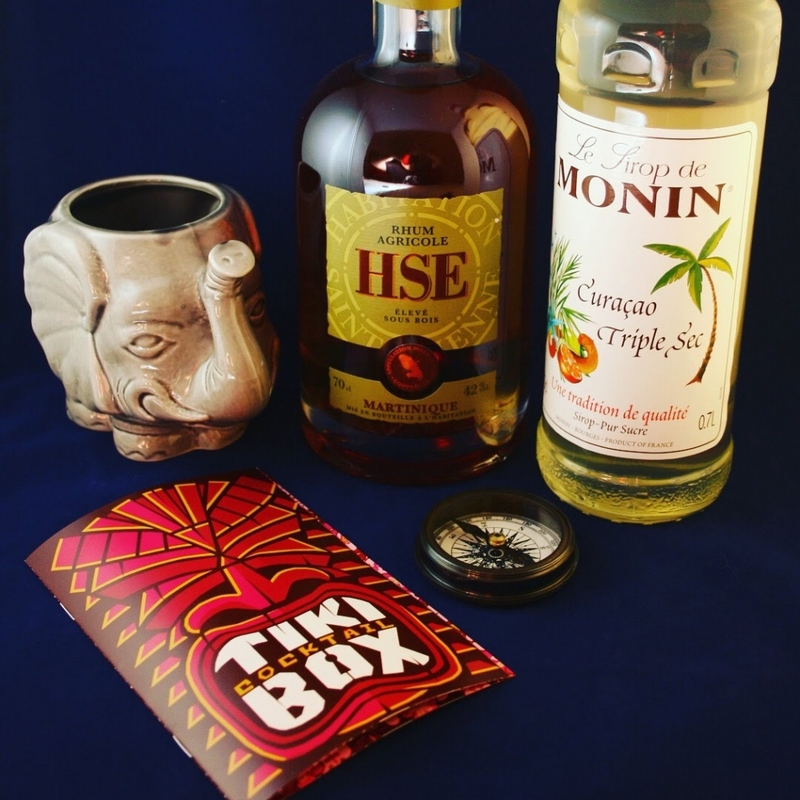 This is a great way to build a collection and to expand your knowledge of Tiki.